Product prices and availability are accurate as of 2019-04-14 05:26:30 EDT and are subject to change. Any price and availability information displayed on http://www.amazon.com/ at the time of purchase will apply to the purchase of this product. 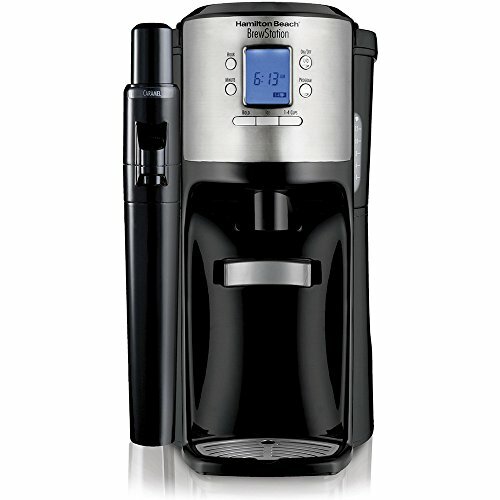 You'll love the new Hamilton Beach 12-Cup Dispensing Coffeemaker. It's got all the features you've grown accustom to, but also includes one additional bonus feature, a detachable syrup pump that lets you add your favorite syrup for a touch of flavor. It even comes with a free bottle of Torani Syrup, so you can start enjoying great tasting coffee from the moment it arrives to your home. 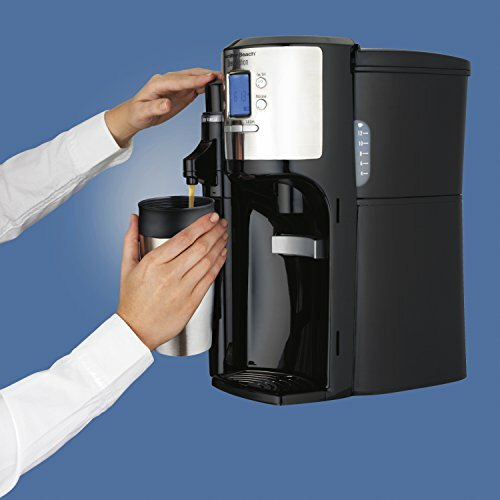 Of course, this Brew Station comes with the easy to use one hand dispensing, which means no carafe, no pouring, no spilling, no breaking and no burnt coffee flavor. The programmable clock is easy to use and this model comes with a variety of brewing options that include: bold, regular, small batch, plus an iced coffee setting. With Brew Station the coffee stays fresh longer, because the gentle warming maintains coffee's temperature without scorching. 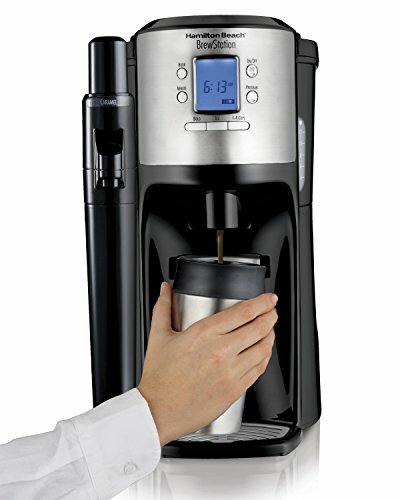 Comes with a two-hour automatic shut off and easily fits a travel mug.